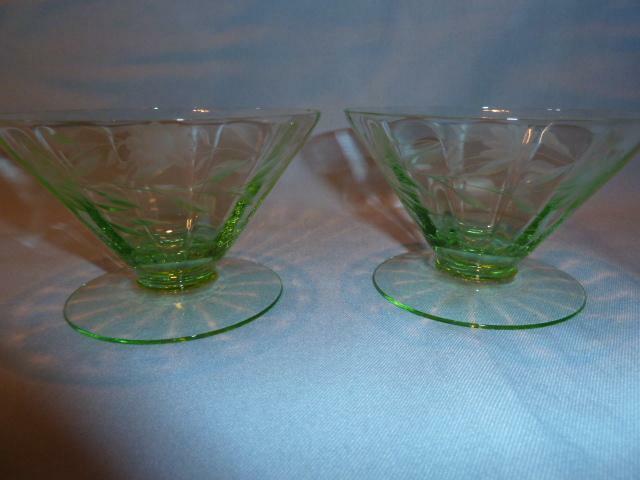 Elegant set of two (2) Green Depression Footed Sherbet Dishes. 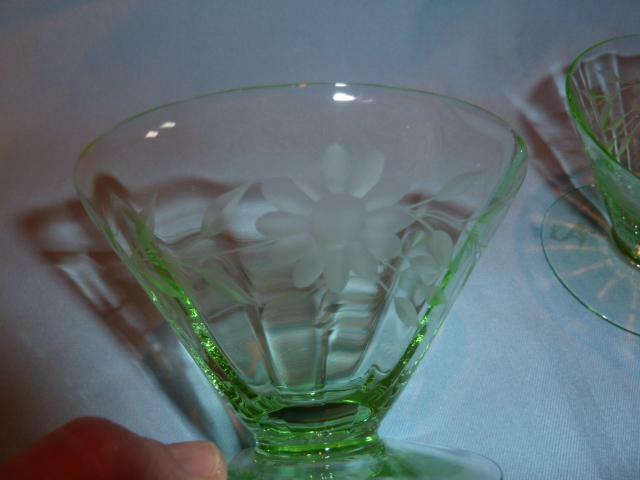 Delicate fluted sides with an etched garland of three flowers that resemble a daisy and leaves around the top of the glass. 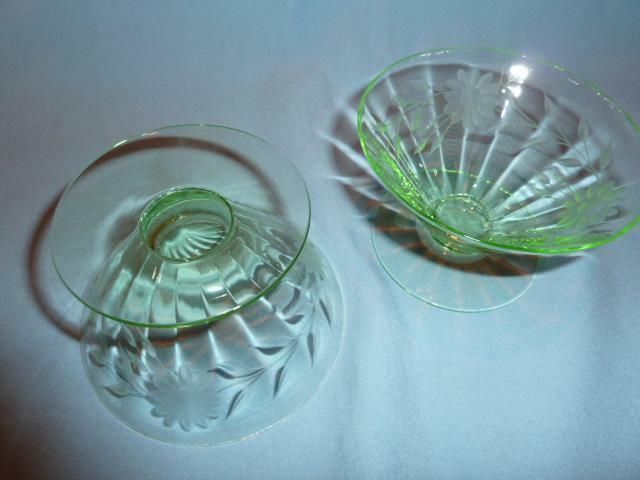 Each Sherbet measures 2 3/4 inches tall, 4 1/4 inches across the top and 3 inches at the footed base. They are in excellent condition, with no chips,cracks or repairs. The color is beautiful,see the photos for details. 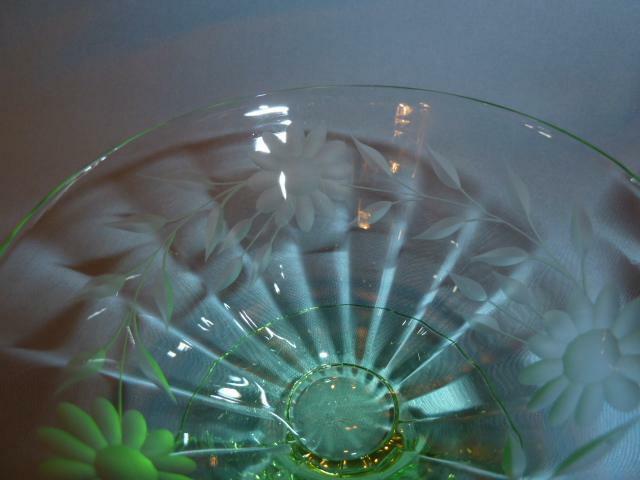 We also have water glass stems, wines and flutes to match listed separately. We are happy to combine items for shipping when possible. 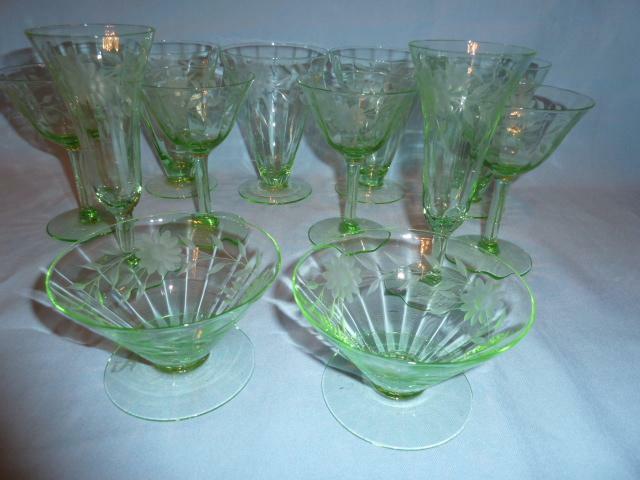 Items Similar To "BEAUTIFUL GREEN DEPRESSION ETCHED FOOTED SHERBETS SET OF TWO (2)"